This is comprehensive guide on how to start export business in India and what are the profitable goods or products to export from India. This post also highlights some of the important documents which is required to export goods. Business is something that most of us would like to start as it would be owned by us and the result would be obviously to earn profits. Now the question arises as to whether we start the business in the local market or the international market. There might be an easy going aspect found, when it comes to the local market, however, the business that involves the international market can have an exposure to the international standards of business and also profits. This is because the value of the amount paid in the international market would be in the currency that would be converted to the currency that we use in India. In this post i will highlight some key point on how to start export business in India and documents required for export from India. The international market is of importance to the traders who would want to grow the business in the international market with the simple terms that needs to be followed accordingly. Choosing the market and the country would be vital as we want to make profits and have stability in the business. There are many challenges that are seen in the international market and the most basic would be the price that has been quoted and agreed upon in this regard. The choice of the products that you want to export from India to other countries has to be the main concept of discussion. The products have to stay till the time that they are from the time they reach the customers. The quantity and the quality have to be gauged accordingly and the same has to be standardized based on the price fixed. First and foremost thing that each person who is in the export business has to do is to be calm with the circumstances emerging from the financial crises of the investment. Listing the documentation that is required to be fulfilled has to be known before starting the business in the international market. The most of the products that get the identification in the international market is because of the brand and the price offered. Hence, in order to offer the best price to the customers, they have to be offered with the price that would be less expensive by not including the middle men in the process. There are channels that can help the domestic merchants who can be contacted for the starting of exporting. 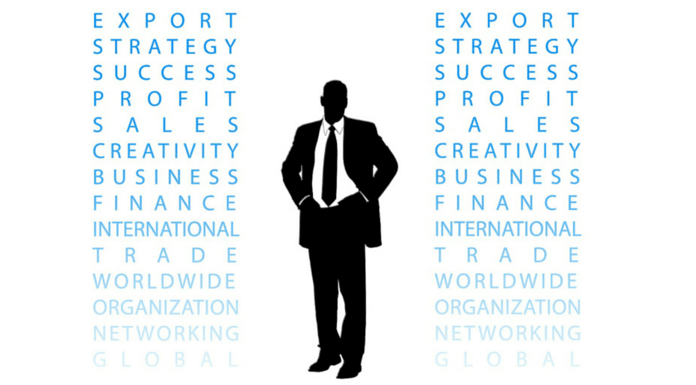 The Export Management Company can help the businesses who are in the domestic market to export the products from India by assisting in the hiring of the people who are the dealers in the respective fields. Secondly, the Export trading company would enable the businesses to find the buyers in the international market who would want to buy them. Thirdly the person who gets the goods from the seller to the buyer would be the mediator, who does the packing of the goods, and ships to the buyer by himself. The initial step to start the export business would be to get the code which is called as the IEC, (Import Export code). The license should be got from either countries between which the trading of the goods are done. They are also known as the company identification number that would be unique. This enables the licensing of the business in the international market and would be regarded as the one time licensing number. Once the samples are sent by the exporter to the buyer overseas and approved by the latter, the terms of delivery should be discussed followed by the proforma invoice sent to the buyer. In this course the terms of payment has to be also agreed upon. Invoice: The commercial invoice that is used by the exporter, wherein the price and the mode of shipment details are mentioned. The Bill of Lading: This will depict whether the products are shipped accordingly. The bill of exchange: This bill is drawn by the drawer, who is the exporter on the importer, who is called as the drawee and states that the order amount has to be paid to the concerned party who is called as he payee and here it refers to the exporter’s bank. The letter of Credit: This is given to the buyer that is the exporter by the bank of the importer by authorizing to withdraw the amount based on the form that is accepted by law and such bill will be honored by the bank accordingly. The document which is required for the shipment of the products. The drawback of duty is attested with the various documents in order to claim the amount or incentive in this regard. Marble: Marble would be considered to be one of the best products to acquire the international market as this has great demand overseas. There is a trend of the stones that are of demand in the international market. From India, we can name the Satyam exporters who take the privilege of being the best in the exporters in Marble. Electrical Products: The items like the Television that have demand overseas can be traded for a good price. Pearls: Pearls are of great demand in the exporting field and would be regarded as the most important of the ones that could attract the international buyers. Cereals: The cereals would be an important aspect of trading in the international market as the same has seen the growth in demand. Apparels: Apparels would be considered as the product that would attract the demand in the international market. This is due to the designs and the traditional attires, like the saris which have seen lot of demand in the international trade. Leather: Leather has its own demand in international market and you can consider this in your exporting business list. Cotton: Big market for cotton is out there in neighbouring countries to India but the production of cotton is low there you can grab the opportunity to export cotton from India and make some business profits. Aircraft: Aircrafts are also of great demand in some of the countries like the UAE and India has a major market held therein. Thanks for sharing information..This is also the fact that, to do export business you must have the knowledge to do it successfully. If you are aware about the required details to do export or import, you can easily be a part of international trade and be a successful exporter or importer. my name is Siva Subramanian we are doing the vegetable wholesale business in Nagercoil Kanyakumari district in appta market last 35 years.so if anybody interested to buy vegetables kindly contact to me.if any party festival we can able to supply. I’m planning to start export business ,can you please guide me how to start and what is the procedure, whom should we contact to get the license. Can you please guide me how start export business and whom should I contact to get the license. i want to start a spices and vegetables export from India its a good product to i have select.